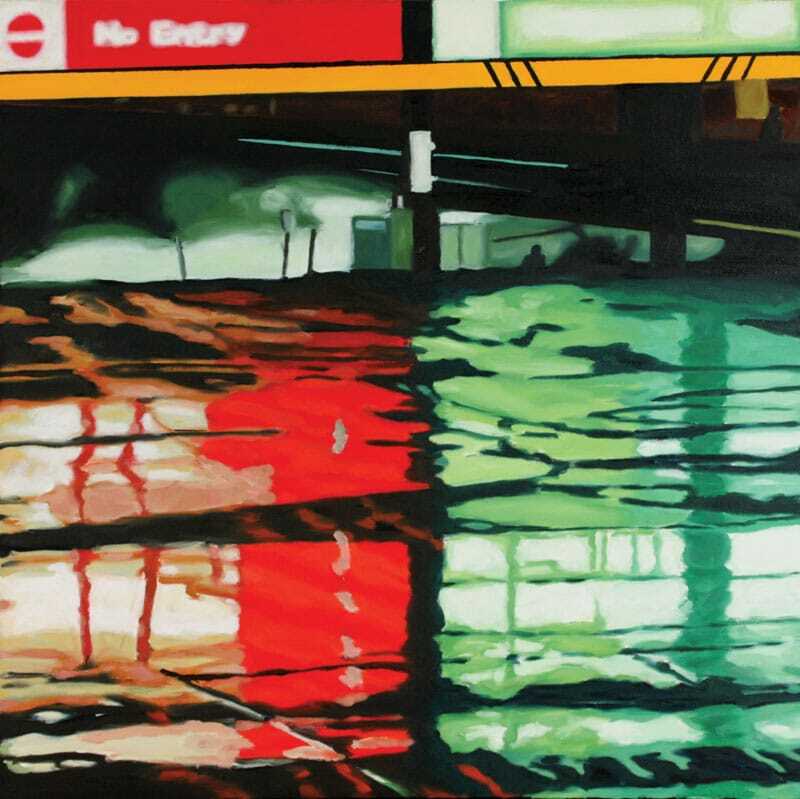 In his observations of daily life, Rob Niezen explores the effects of light and reflections on contrast and colour harmony. He views the ordinary from extraordinary angles or at extraordinary moments. In his still-life and (urban) landscape oil paintings, he seeks the drama, the exaggerated and the surprising in objects and places. His style is grounded in classic and impressionistic oil painting practice, yet influenced by European graphic novels and Dutch graphic tradition. To share his observations, Niezen views and interprets; he then isolates and emphasizes his subjects. His nightscapes show the dream world of our cities created by artificial lights. Rainy night reflections create bursts of colour, and reveal our theatrical surroundings. These paintings are a testament to the vibrancy of the city, and vary from broader contextual city views, to close-ups that render more abstract compositions, as the artificial lights create magic on small and large scale. Rob Niezen paints mostly in oils. As a boy it were comics that inspired him to draw, and art has been his passion ever since. Rob is an elected member of the Ontario Society of Artists, and has participated in over 30 juried exhibitions. 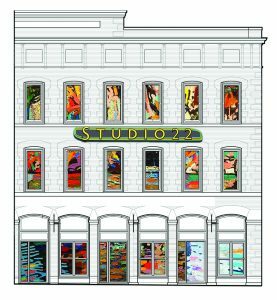 His work is in private and corporate collections across Europe and North America. He teaches oil painting at the Art School of Peterborough. Rob Niezen was born in The Hague, the Netherlands, and lives and works in Douro, Ontario, Canada. He studied art at Vrije Akademies in The Hague and Delft, the Netherlands, and at the Art School of Peterborough.